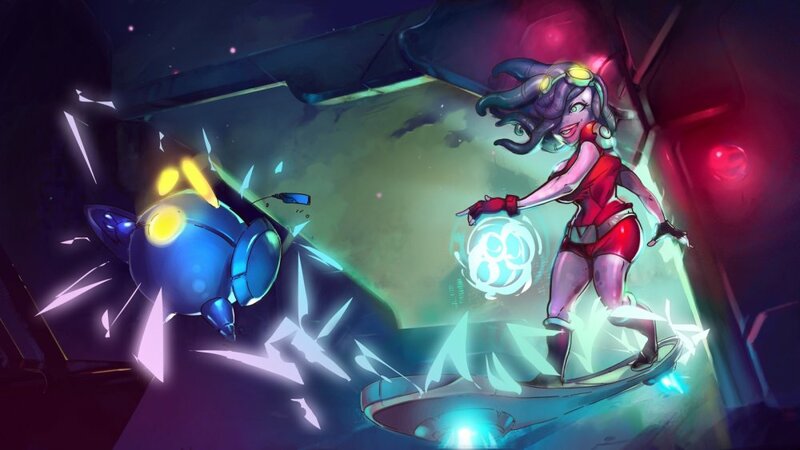 As we talked about a couple weeks ago, Ronimo Games' Awesomenauts is going free-to-play on May 24. If you purchased the game previously (or anytime in the past couple of weeks), then you've already got access to the current beta. If you haven't, then good news! We've got 12 beta keys to giveaway! These 12 keys can be redeemed on the PC via Steam and gets you access to the full game. None of the characters will be unlocked, but completing the tutorial will get you 2000 of the new Awesomepoints currency, which in turn can be spent to unlock some. There's also a rotation of four free-to-play characters you can enjoy every week. If you like what you see, then it looks like you can purchase the two expansions (Starstorm and Overdrive) for $5.39 each ($10.78 total) to automatically upgrade to the "All Nauts Pack". This gets you all of the Awesomenauts, past, present, and future. Here's a little handy chart for everyone that breaks some of that down. Alright, with all that said, giveaway! Much like the giveaways we've run in the past, this is pretty straightforward. Click on the button below, fill out the appropriate information, and you're entered to win! The 12 keys we have available will be giving out over the course of the next few days until the contest ends at 11:59 pm EDT on Friday, May 12, 2017. 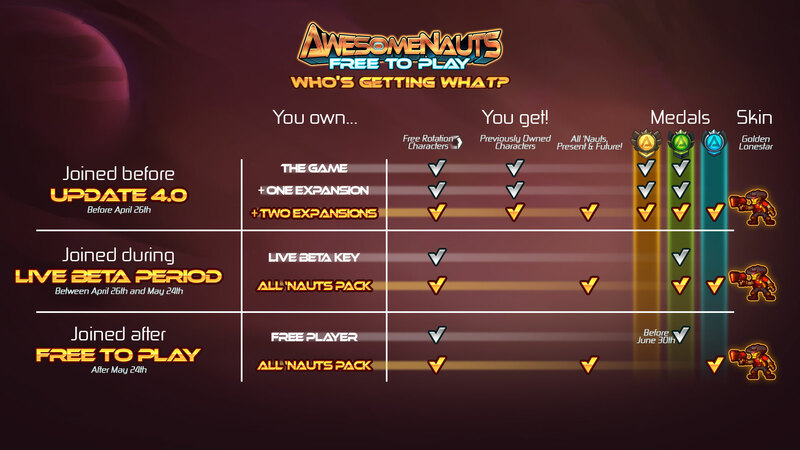 Good luck to everyone and enjoy playing some Awesomenauts!